4th Family Incorporated is a not-for-profit organization that hosts teen/community events, mentor programs, personal development programs, educational programming, wellness & health programs, annual sport leagues & tournaments, as well as educational trips. We engage all communities within the Capital District, starting in the high schools. Our goals are to motivate, encourage and uplift the community. 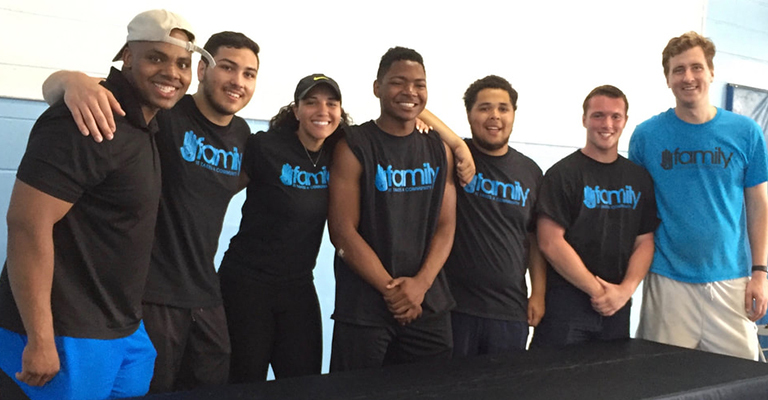 4th Family empowers the community by targeting at risk youth and adults and providing them with an array of unique personal development opportunities. 4th Family is a non-profit based out of Albany, NY that was founded in 2011 by two young African-American males, John Scott and Jahkeen Hoke. The idea of creating a non-profit to address the issues faced by youth in inner city Albany was originally developed by Jahkeen Hoke as a student at Morehouse College. John Scott became involved following the tragic murder of Eddie Stanly, who John had coached in basketball. Together, John and Jahkeen founded 4th Family Incorporated in 2011. The name 4th Family is based on an African proverb that described the ties that bound communities together. The first family is the nuclear family, the second family is the immediate extended family, the third family is extended family. The 4th Family is the community that provides a support network to all of its members. At 4th Family we seek to redevelop this network within urban communities and use this network to provide a platform for talented individuals to make a positive impact on these communities. This platform approach allows 4th Family to address a diverse set of challenges facing the inner city. 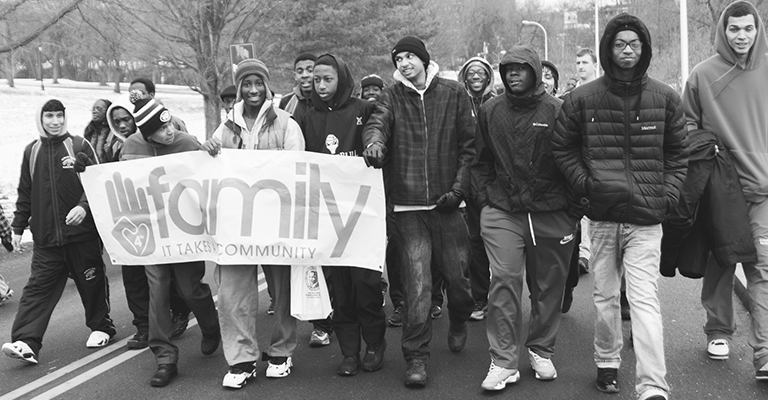 It takes a community to reduce prison recidivism among young black men. It takes a community to mentor our children. It takes a community to promote STEM education in the inner city. Between these three initiatives is the common thread of social responsibility, economic mobility, entrepreneurship, and racial justice.